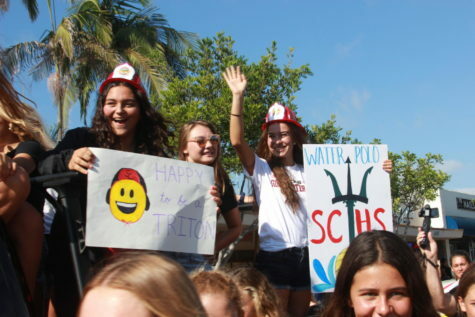 As San Clemente High School wraps up homecoming spirit week with the SCHS homecoming parade held on October 5, 2018, residents from all over San Clemente came to watch. 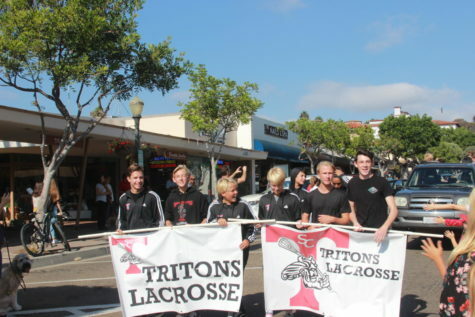 Each sports team and extracurricular walked in the parade gaining attention from all the people of San Clemente. 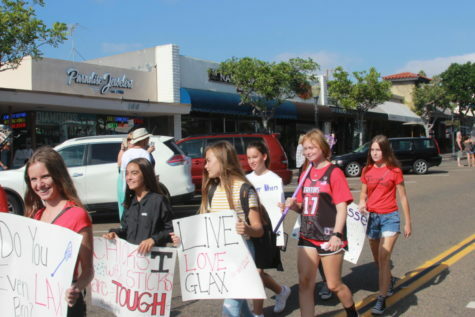 People up and down the street were cheering as the floats, students, and cars went down the street of Del Mar. 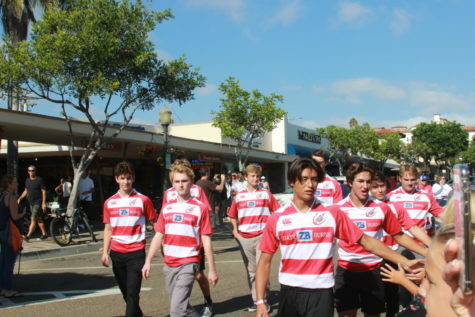 Next walking down the street of Del Mar was our varsity football team. 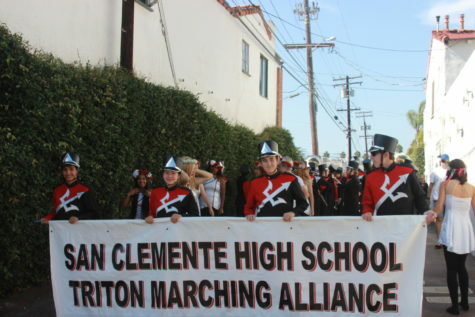 They won the homecoming game against El Toro 63-13, making them score in league 2-0. A game that makes homecoming very special because they did so well. 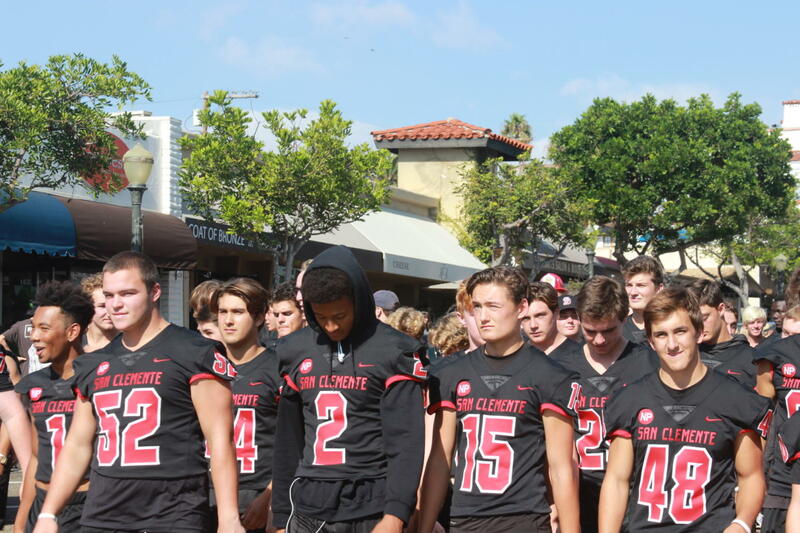 The football team did not disappoint the school or the residents of San Clemente. 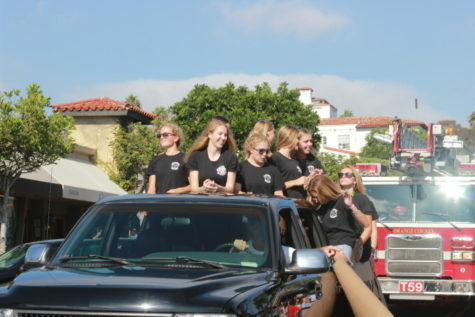 Cheer rode down Del Mar in a firetruck smiling and waving their pom-poms at everyone. 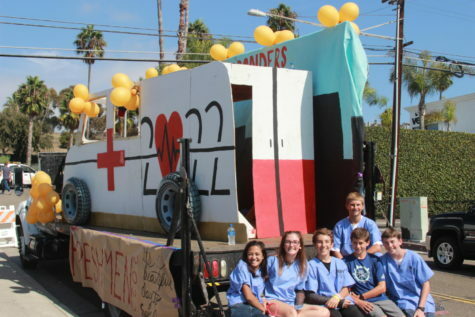 The freshman class of 2022 was next with their decorated doctor themed float. 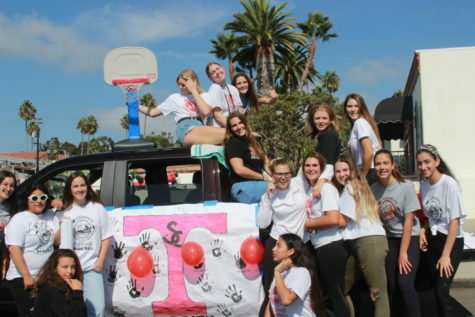 Girls lacrosse followed many convertibles filled with principle Chris Carter and former SCHS students. 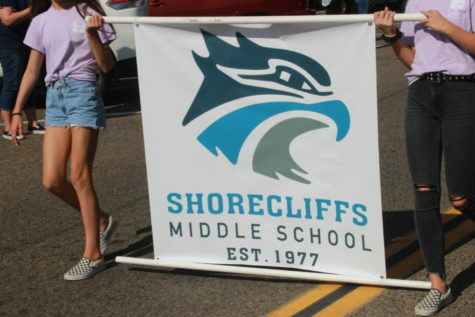 Future SCHS students from Shorecliffs Middle School walked down Del Mar celebrating homecoming. 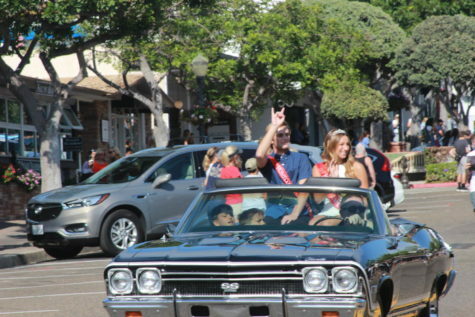 Jaz Riggs and Bryce Crane, the 2017 homecoming king and queen, followed down Del Mar in a convertible. Volleyball and all four of their league champ teams were next. 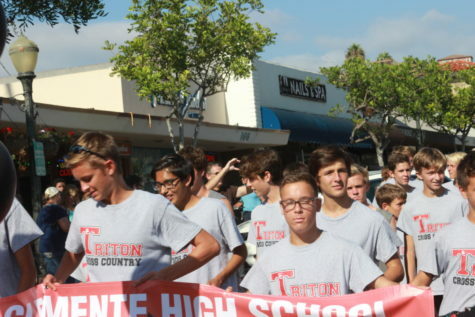 The varsity team is going to CIF. 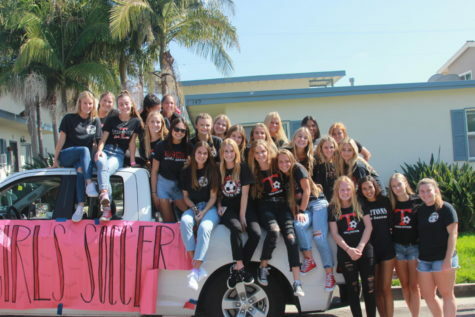 Girls’ soccer went to CIF last year and hopefully they will do it again!! Boys varsity volleyball is ready for their season to start in the spring. 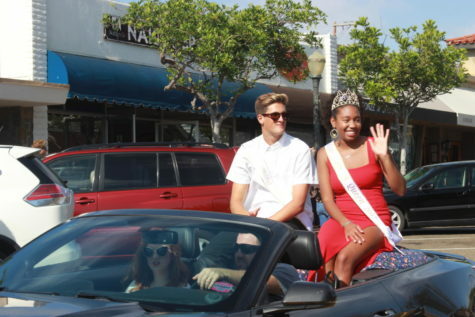 The first homecoming prince and princess rode down next! Pictured are Sydney Lantz and Jason Keany. 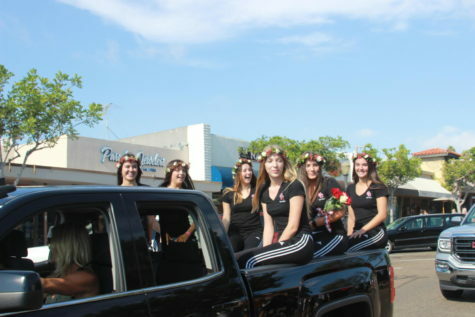 The Sophomore class of 2021 was next with their police themed float. They were followed by three police cars sounding their sirens. Girls basketball was getting ready for their next winter season. Boys basketball with their large number of players ready for their upcoming season. 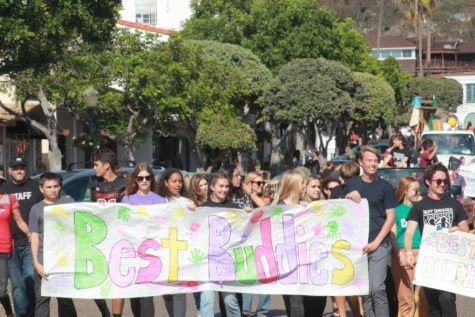 Best Buddies, the cutest club on campus! 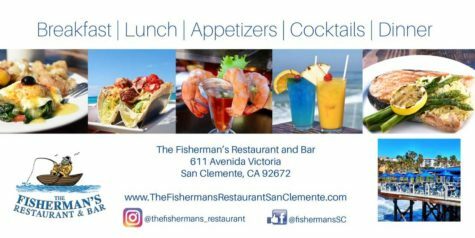 Always filled with smiles, laughter, and love. Friends that last a life time. The second homecoming prince and princess Layna Hathaway and Griffin Buchan. Griffin was the homecoming king. Our dance team was next. They are eighteen time national championship winners. 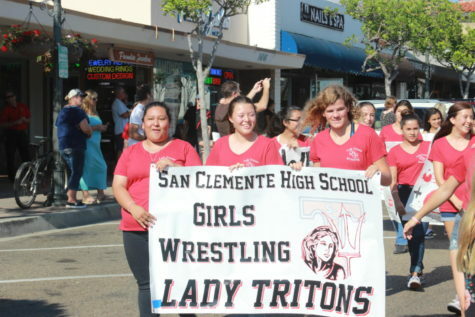 Our girls tennis team and league champs were next. 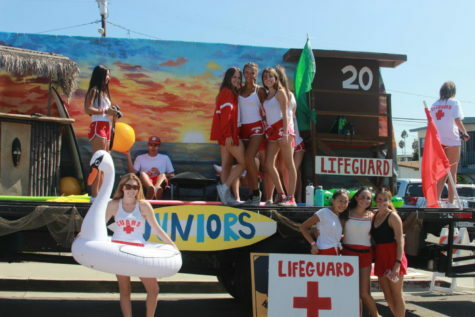 The junior class of 2020 float was next it was lifeguard themed. 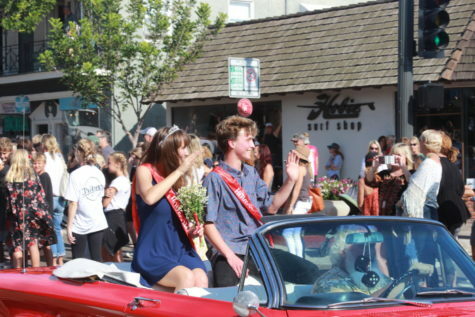 The third homecoming prince and princess were next. Spencer Currie and Daisy Frauenzimmer. Recently our very own boys rugby was put into action. 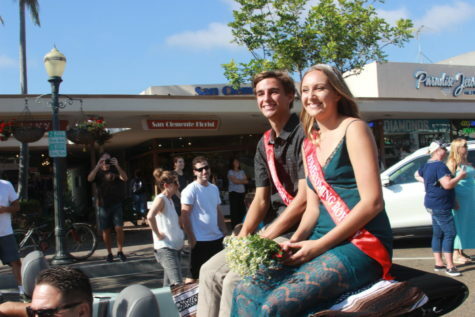 The fourth homecoming prince and princess was Jake Carrera and Tatum Fox. 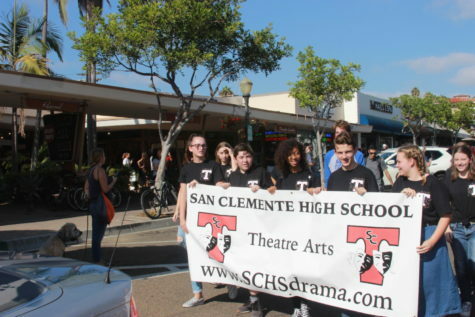 The spectacular SCHS theater art program was next. They put on many amazing shows. Boys lacrosse ready for their season to begin. 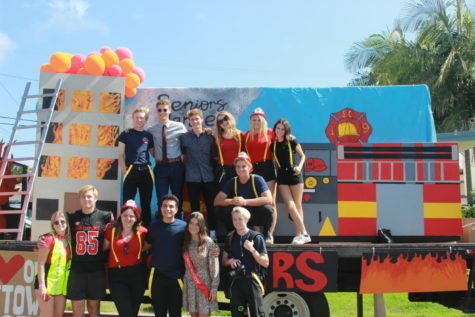 Senior class of 2019’s firefighter themed float was next. 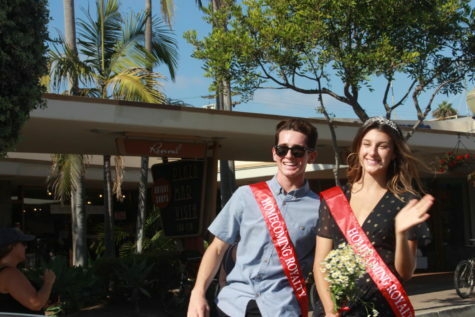 The fifth and final homecoming prince and princess was ASB president Owen Africa and Lila Ord. As a member of the SCHS basketball team Lila was named homecoming queen making everyone very proud of her efforts. The surf team is always at the beach showing us what moves they have in the water. 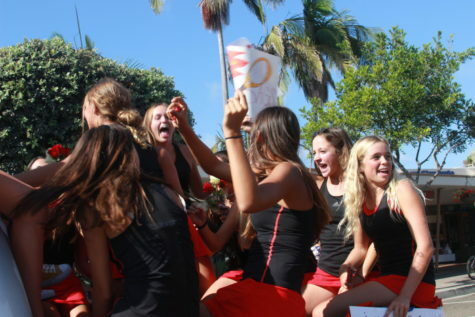 Girls Water Polo were league champs last season and hope to do it again this year. 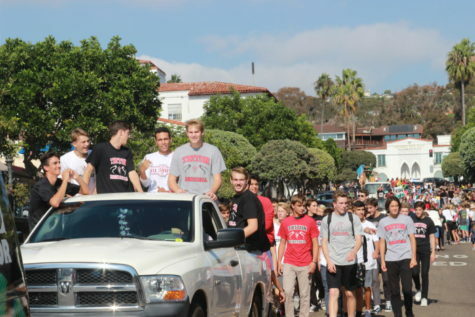 Boys wrestling walking without shame in their uniforms. Girls wrestling show their skills on the mat and can probably defend themseves against anyone who threatens them. Cross Country the people we all wish we could be like running for miles at a time. 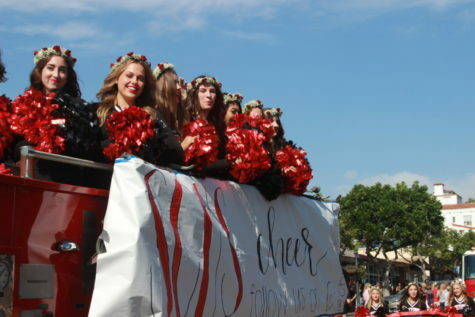 The homecoming parade is a fun experience to be able to see all the clubs and sports SCHS has to offer. It is really cool seeing all the people lined up and down Del Mar cheering for everyone.